Nothing quite exemplifies Fourth Avenue as a hub of Tucson culture quick like the semiannual street fair. 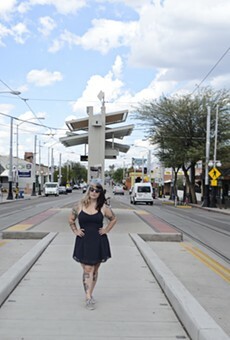 For three days, artists, musicians, craftspeople, performers and culinary enthusiasts take over the ave. in a raucous display of Tucson's independent cultural talent. Whether you're looking for a gift, wardrobe addenda or just something that shouts "Tucson." it's easy to spend a day bouncing between booths and gorging on all your favorite fair food.